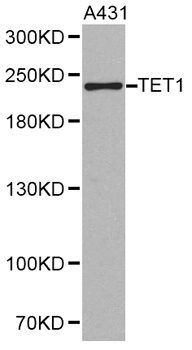 Western blot analysis of extracts of HeLa cellline, using DNMT2 Polyclonal Antibody. This gene is specifically involved in the methylation of aspartic acid transfer RNA at the cytosine position 38. Although it is considered part of the family of DNA cytosine methyltransferases, DNMT2 does not methylate CpG in genomic DNA because it lacks the large N-terminal regulatory domain found in other eukaryotic methyltransferases. 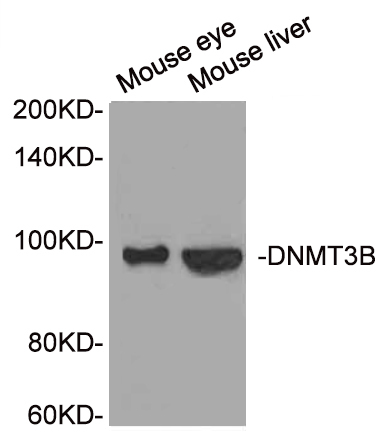 DNMT2 Polyclonal Antibody. Unconjugated. Raised in: Rabbit.